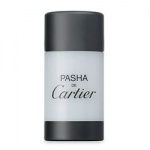 Cartier Pasha for Men from Slapiton Authorised UK Stockist. Cartier Pasha For Men is an elegant and stylish fragrance with hints of lavender and fern, the aftershave choice for a man of style. 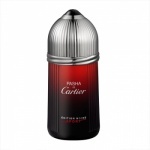 Cartier Pasha For Men fills the senses with serenity and elegance. Cartier Pasha For Men begins with aromatic, free and energetic Lavender Mandarin, Lavender, Thyme and Mint, which invigorates the skin and the senses. This is layered over a subtle and elegant heart of Rosewood and Coriander and a rich base of warm exotic tones of Oakmoss, Labdanum, Patchouli and Sandlewood. This crystal clear blend of lively, subtly camphorous, aromatic accents caresses the skin with an impalpable mesmerising dew that is stylish and masculine to the end. 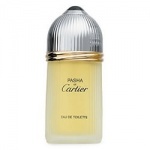 Includes Cartier Pasha EDT 100ml and Deodorant Stick 75ml.